Labels are everywhere and Dynamark is your reliable source for any type of label you need. The power of great design and print is behind every label we produce, backed by more than 40 years of experience. 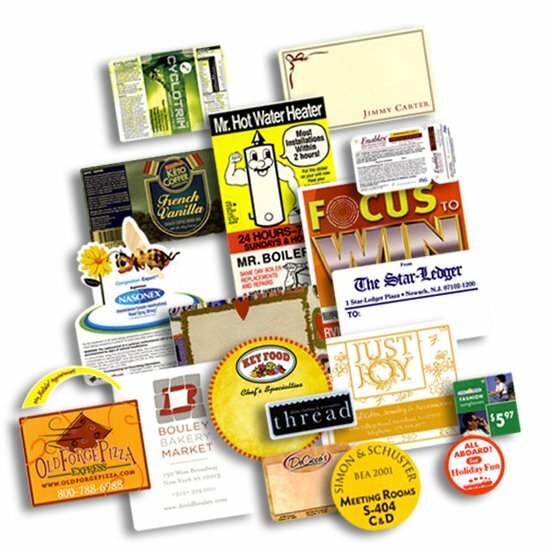 We offer a full spectrum of labels in standard shapes and sizes, custom configurations, and adhesives that range from highly durable to temporary and repositionable. Whether by the sheet or on a roll, you can order the label, decal or sticker you envision. And, we serve a variety of industries including health & beauty, automotive, education, athletics, food & beverage, pharmaceutical, retail and more.